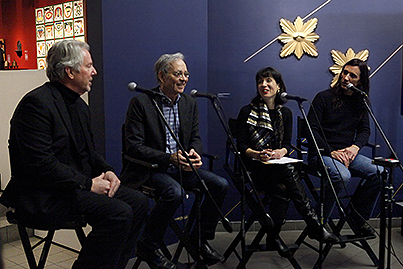 Reflecting on the passing of self-taught artists Paul Laffoley and Ionel Talpazan this fall, one is reminded of the compelling nature of art born out of deep and long-lasting investigations of specific themes over a lifetime. The work of artists Misha Bittleston, Paul Laffoley, and Ionel Talpazan all share a common interest in cosmology and otherworldly phenomena, popular subjects among many self-taught artists, and ones that have fascinated artists for millennia. 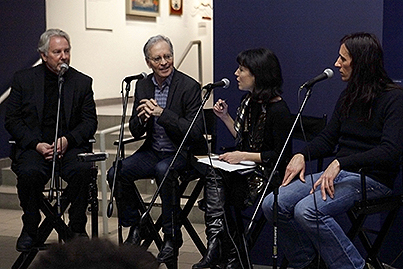 Against a late twentieth century visual culture backdrop, awash in imagery of interstellar travel and extraterrestrial life forms, these three artists can be distinguished from their historical self-taught predecessors not only by excellence, but by virtue of their unflagging dedication to astronomy and their particular lived moment in history. All three matured after the advent of the atomic age and the first human landing on the moon, and witnessed great advances in space exploration and technology. For the 2016 Anne Hill Blanchard Annual Lecture, join Professor Daniel Wojcik, author of the forthcoming book Outsider Art: Visionary Worlds and Trauma, who will share his perspective on the work of Ionel Talpazan, a self-taught artist from Romania who created visionary works of UFOs and life in outer space. 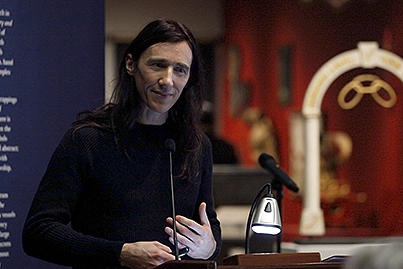 Douglas Walla, Paul Laffoley’s dealer and friend for more than twenty-five years and editor of the soon-to-be published Essential Paul Laffoley: Works from the Boston Visionary Cell, will provide insight into Laffoley’s transdisciplinary oeuvre. Artist Misha Bittleston will speak about the science informing and inspiring his work. Miriam Kramer, Space Science Reporter for Mashable, will serve as moderator. Daniel Wojcik is a Professor of English and Folklore Studies, and affiliate faculty in Religious Studies at the University of Oregon. His areas of research include apocalyptic world views, visionary cultures, alternative spiritualities, subcultural movements, and vernacular artistic expression. He is the author of The End of the World As We Know It: Faith, Fatalism, and Apocalypse in America; Punk and Neo-Tribal Body Art; and the forthcoming Outsider Art: Visionary Worlds and Trauma. Douglas Kent Walla founded Kent Fine Art in 1985 then followed with six years at the Marlborough Gallery in New York. 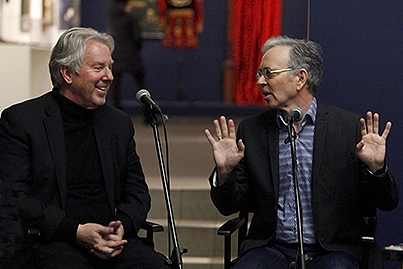 Originally trained as an artist and curator in California, he relocated to New York in 1977. Along with organizing and curating over 200 exhibitions, he has produced and published over 50 books on modern and contemporary art. Projects have included Dennis Adams: The Architecture of Amnesia, Herbert Bayer: Bauhaus and Beyond, Eugene Carriere: The Symbol of Creation, John Heartfield: AIZ/VI 1930–1938, Francis Picabia: Accomodations of Desire, Medardo Rosso: Impressions in Wax and Bronze, Dorothea Tanning: Insomnias and many others too numerous to mention. Having represented the work of Paul Laffoley since 1987, he assembled and published the first monograph on Paul Laffoley in 1989, titled The Phenomenology of Revelation. 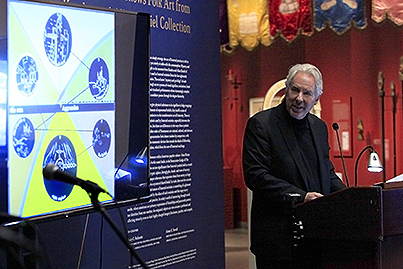 Since that time, he has collaborated with documentation and loans for five major survey exhibitions examining Laffoley’s oeuvre at institutions including the Austin Museum of Art (1999), the Palais de Tokyo (2009), the Hamburger Bahnhoff (2012), the Henry Art Gallery (2013), the Hayward Gallery, London (2013), and the Yerba Buena Center, San Francisco (2013). 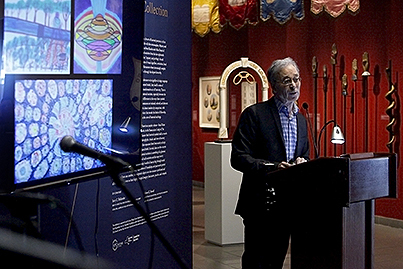 He served as editor, archivist and contributor to the forthcoming University of Chicago Press monograph on Laffoley, The Essential Paul Laffoley: Works from the Boston Visionary Cell. Misha Bittleston was born in England to an artist mother and was recognized as a young child with a gift for drawing. At age fifteen he ran away from home and traveled on his own across Europe, spending two years in Italy before coming to the United States in 1989. A self-taught artist, his works, mostly on paper, fuse elements of abstraction, symbolism, Tachism, divination, and black and white photography. Bittelston’s interest in space, physics, philosophy, and technology manifests in his art work in different ways: conceptually as an expression of the artist’s own uncertainty, directly through form and representation, and at other times more abstractly, in the way he employs texture and the tension between space and light. Upon his arrival to the US, Bittleston showed in small galleries and public spaces in the Palo Alto area. His many projects included pigment monotypes made up of cosmic textures. Without a high school or college degree, at the height of the dot-com boom, Bittleston trained himself as a programmer and worked for seven years as a software developer for Cisco and other tech start-ups to earn a living while making art. In 2007 Bittleston moved to Williamsburg, Brooklyn, and began to focus his artistic energies on making music as Eight Two, an experimental rock music project that builds on the performance aspects of his earlier work and incorporates technology, the use of texture, and alternative sounds. The single “No Matter What” from Eight Two’s most recent album Exhibition won Best Love Song at the 2015 Independent Music Awards. Constantly drawing, Bittleston more recently has adopted a cartoon style and obsessive dot shading in several books: Revenge (2010–2011), 82 Dreamscapes (2011–2012), and Dust (2012–2013). Bittleston moved to Santa Fe, New Mexico, in 2015. 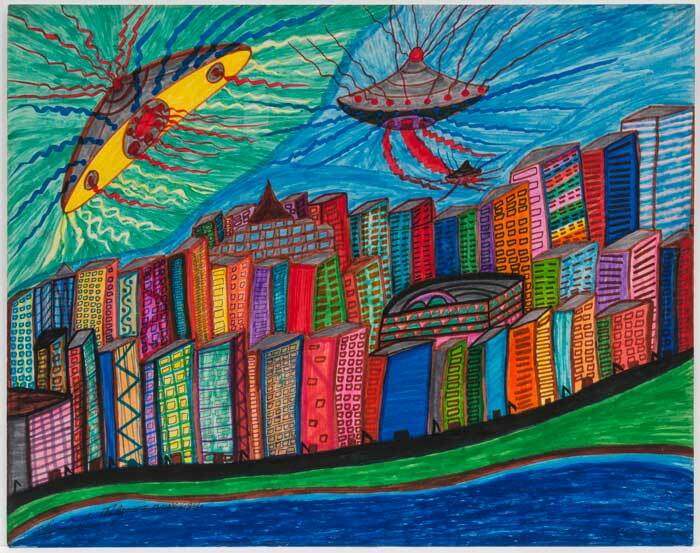 Ionel Talpazan (1955-2015), Untitled, December 14, 1994, New York City, marker on paper, 22 x 28 in., American Folk Art Museum, gift of the artist, 1994.8.2. 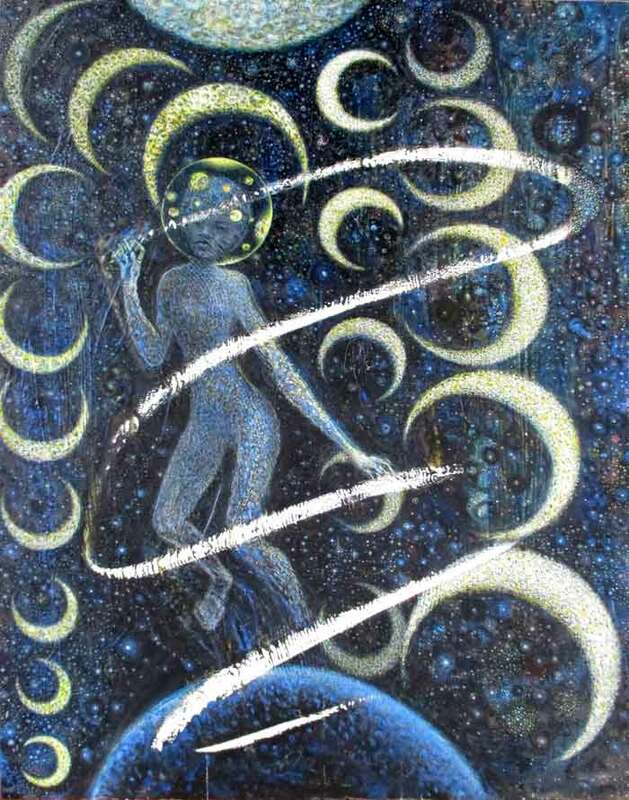 Misha Bittleston, Twenty False Moons, 1996–2015, oil on canvas. Courtesy the artist. 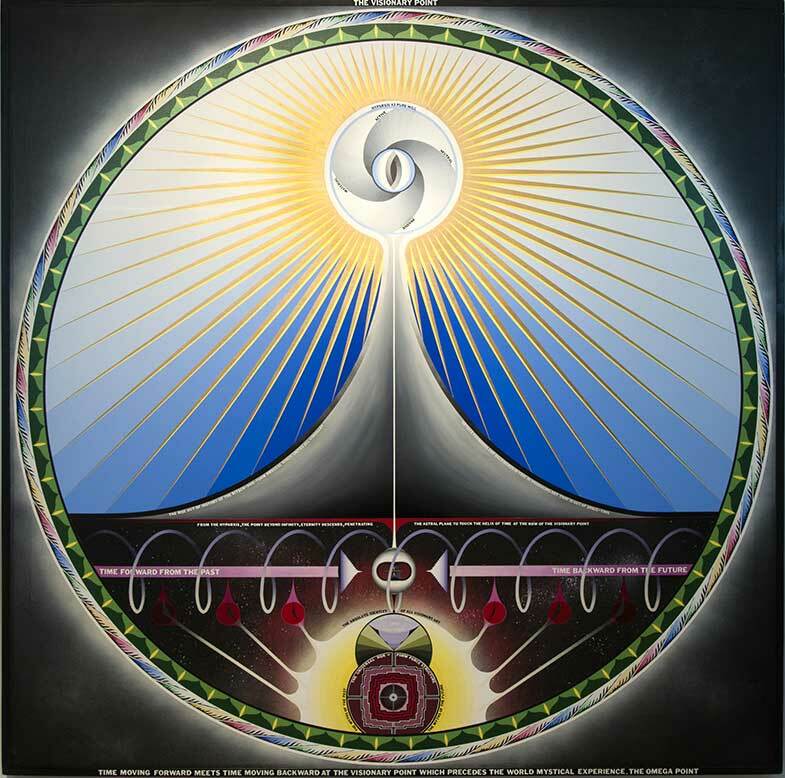 Paul Laffoley (1935–2015), The Visionary Point, 1970, oil, acrylic, ink, and hand applied vinyl letters on canvas, 73 1/2 x 73 1/2 in. Courtesy Kent Fine Art. Click here to read Kent Fine Art on The Visionary Point.